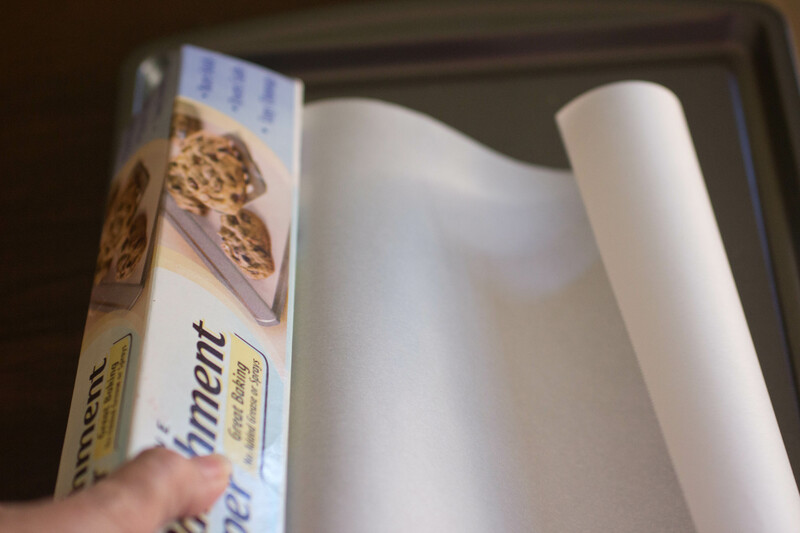 The fun folks at Reynold’s invited me to develop a cookie recipe using their Reynolds® Parchment Paper. 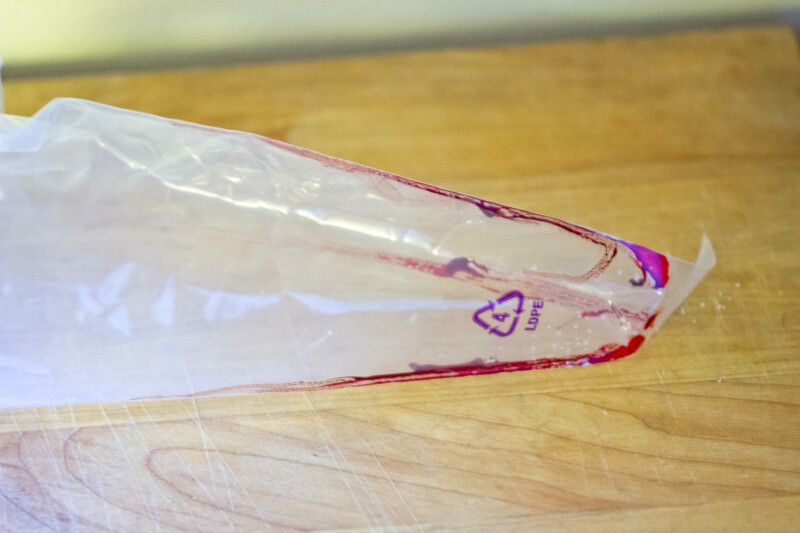 It was a no brainer for me, because I use it for all of my baking. 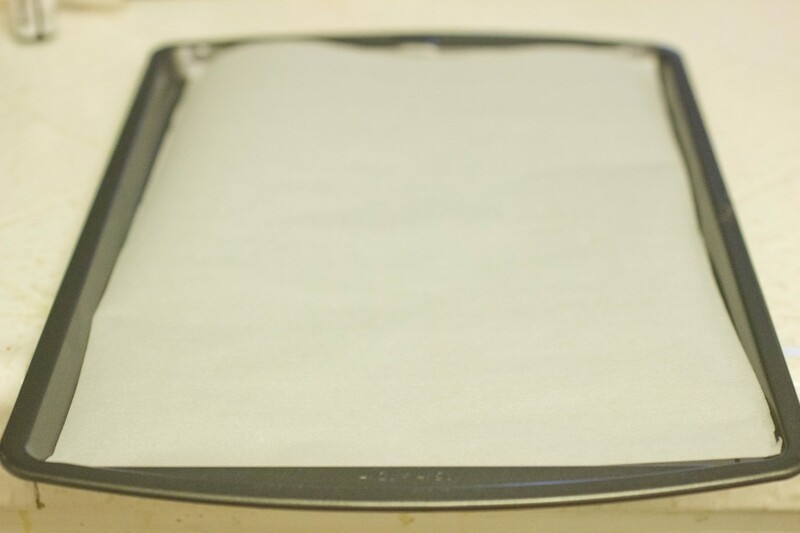 Parchment paper makes baking a breeze and gives the benefits of a non stick surface. 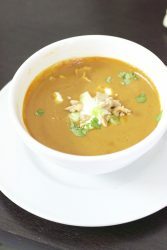 Everything cooks evenly and releases gently from the paper after cooking. 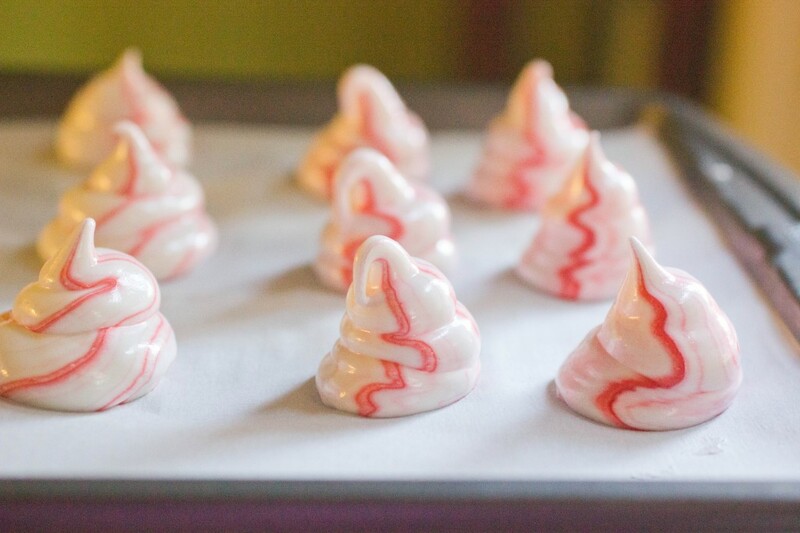 I am kicking off the holiday baking season with Peppermint Meringues. They are so pretty. You look at them and think holidays! 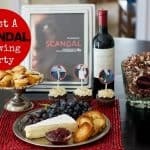 They make great hostess gifts. 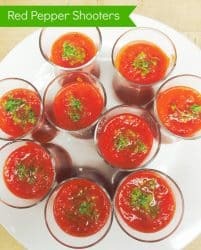 For home fill a clear bowl with these and they will shine on your buffet table. 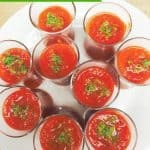 There are only a few ingredients – egg whites, sugar, white vinegar and peppermint extract. 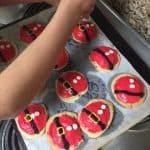 Using the parchment paper allows you to draw circles if you want cookies that are the same size. The trick is to draw the circle on the reverse side so the lead does not touch the dough. 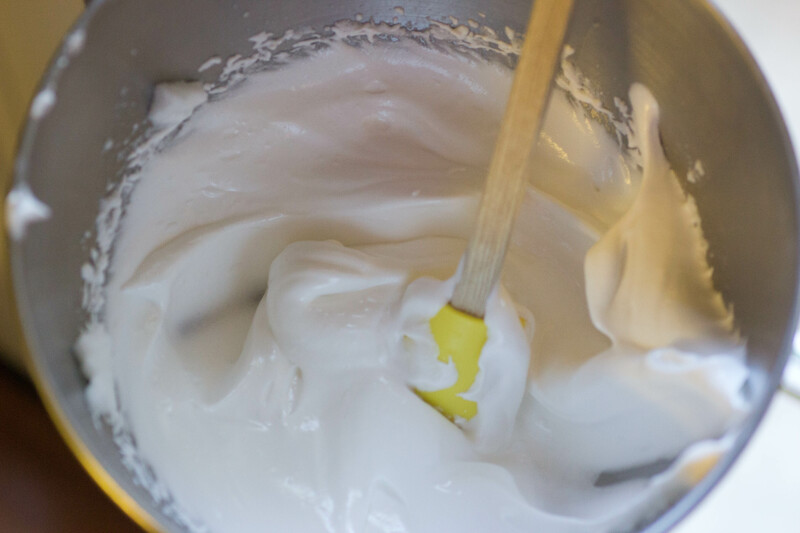 Place egg whites in the bowl of a standing mixer and beat until stiff peaks form. 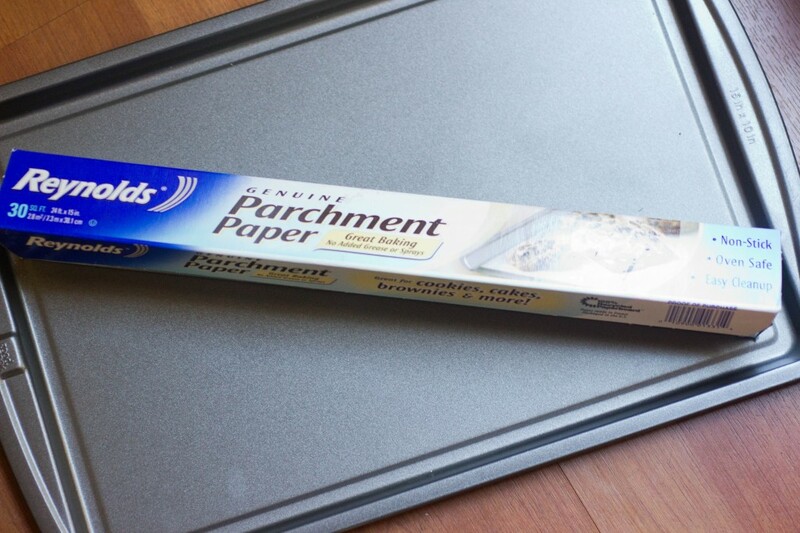 Line your baking sheets with Reynold’s Parchment Paper. Reynold’s has a great website that answers all your questions. 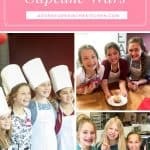 They have tips and techniques that will help you if you are new to using parchment paper. Preheat the oven to 200F. 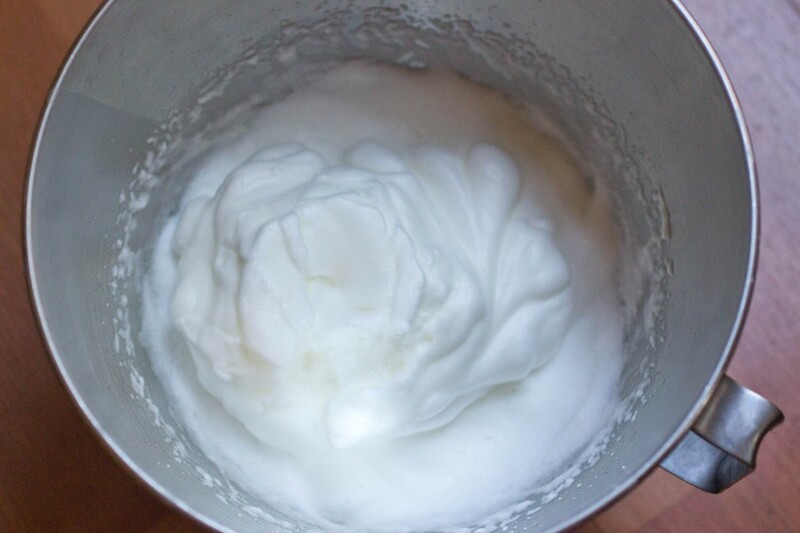 Start with your egg whites at room temperature. 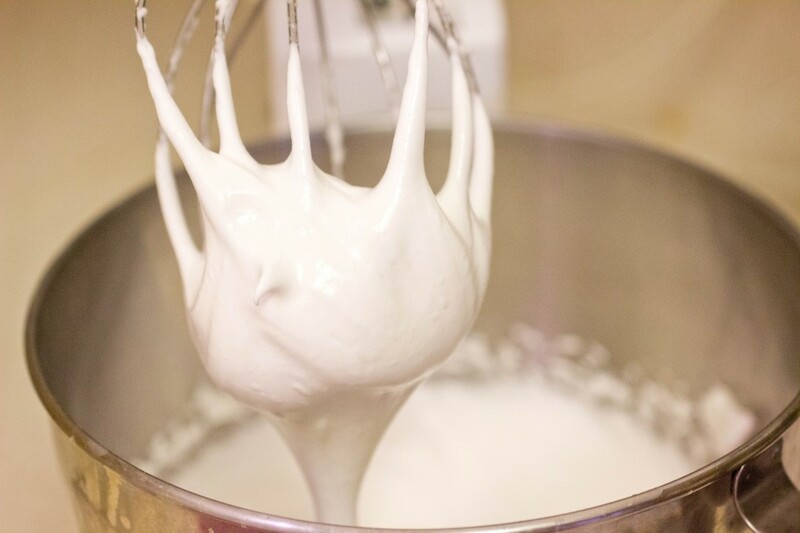 Whip them in a standing mixer until stiff peaks form. 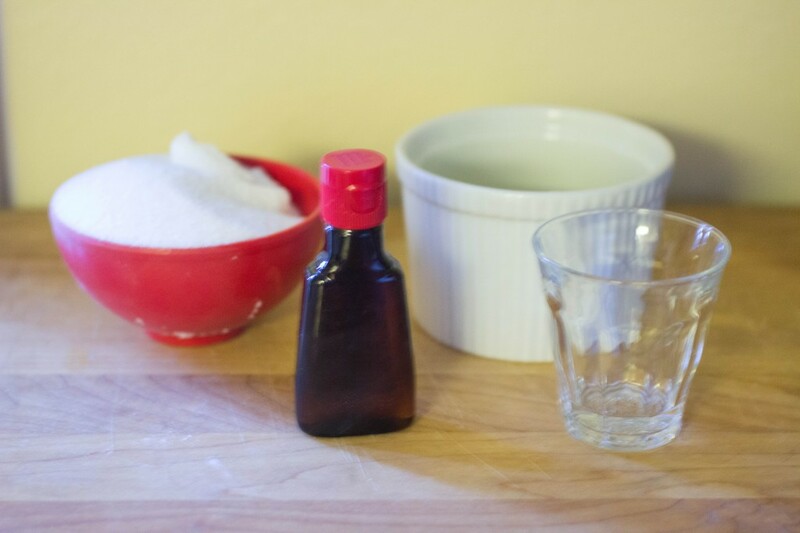 Add in the sugar and vinegar. Whip again until thick and shiny. 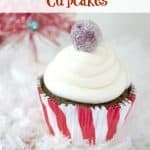 Making the red swirl is simple. Just take a small paint brush and place 4 stripes of red gel on the inside of the pastry bag. 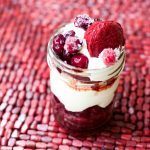 For more color, swirl but don’t mix a line of red gel throughout the meringue mixture. 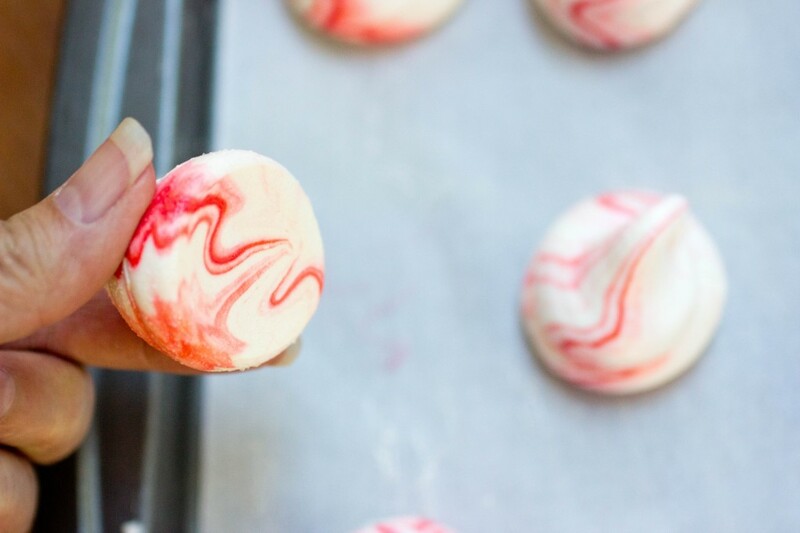 Fill the bag with the meringue mixture and make 1 to 1 1/2 inch swirls, an inch apart on the baking sheet. 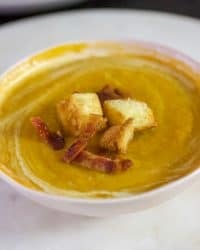 Bake for 2 hours or until crisp, but not brown. 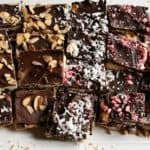 Check at 1 1/2 hours and again every 10 minutes to make sure you don’t overbake. Turn the oven off, leave the door shut and leave the meringues in for 1 hour. Because my oven is small and doesn’t bake evenly, halfway through I rotated the baking sheets from the top to bottom racks. 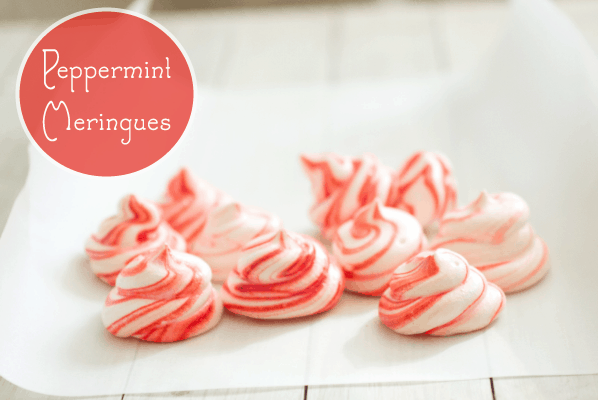 These Peppermint Meringues release from the paper, once they are cooled. Just gently lift them up. Aren’t the colors fun? 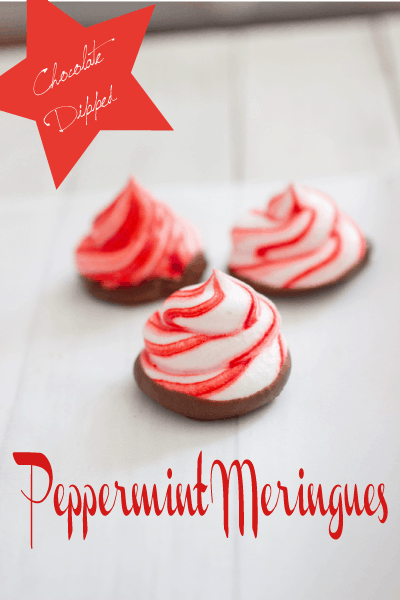 If you want to be fancy, you can dip them in either white or dark chocolate and dip in crush peppermints. My favorite was the milk chocolate dipped. 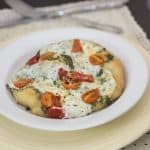 I was paid to develop this recipe and write this post. All opinions are mine, of course!